This was a long journey in the history of my web-site, before I personally met with Tim Dauphinee – living father of the modern salinometry, inventor of AutoSal and one of the main contributors in the development of the PSS-78. 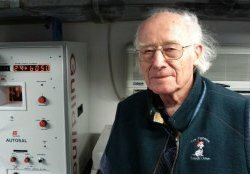 The man, whose salt will be shining forever on the Rock of Fame of Oceanography. When I began to build this web-site 3 years ago, I had no idea where Tim was and whether he was alive at all. 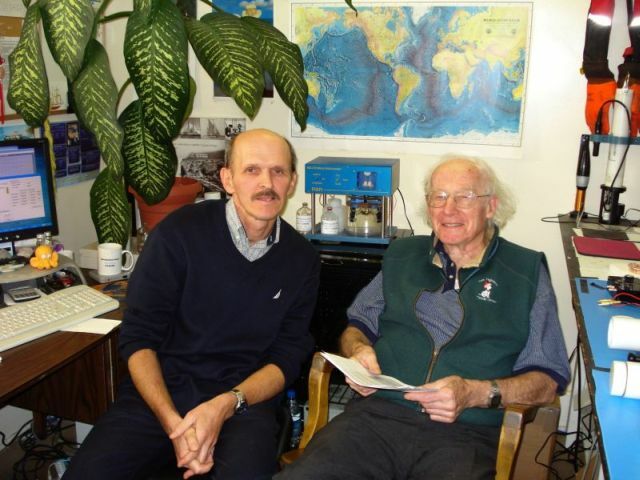 More than 30 years gone after all remarkable developments in the area of the oceanographic salinometry and not many participants of this work are still alive. And how happy I was, when a year ago I got an e-mail from his daughter Amy, who came across my web-site serfing the Internet. She informed me about her father – he is 91 years old and still healthy and active with a brilliant mind. After retirement he lived on West Coast of Canada for some time and then moved to Toronto area. We started corresponding with Tim and finally, in October 2008 Tim came to Ottawa. He was interested to see my Micro-salinometer MS-310 and met me in person. I was so glad to see the man I adore! Tim with great interest looked at my Micro-Salinometer and confessed that if he had to develop a salinometer now, it would be, definitely, based on a dual cell ratiometric principle. 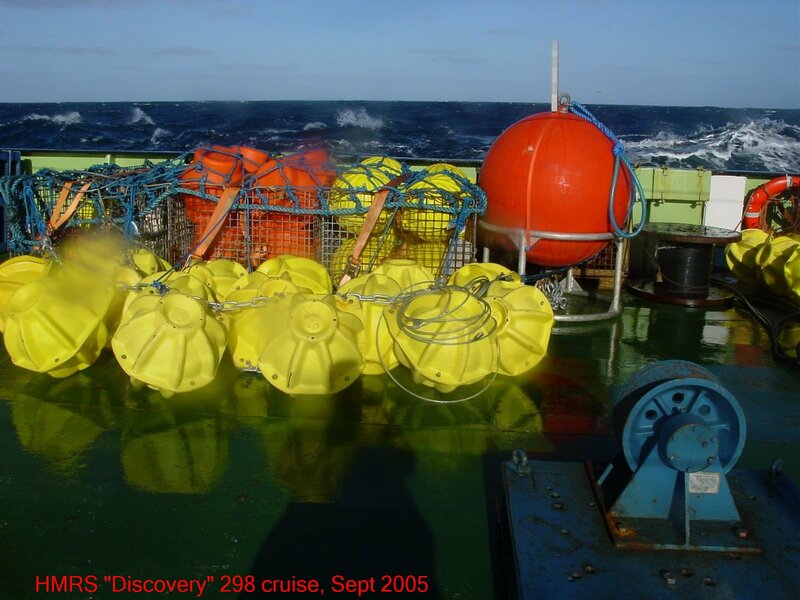 Also we discussed a new approach in the redefining of salinity – Tim agreed that introduction of the absolute salinity without a proper methodology of measurements and deriving of this parameter will make a chaos in an oceanography. In the evening we had a good dinner in my home. Tim is a very talented story-teller; I and my family really enjoyed hearing some memorable episodes in the history of development of the PSS-78 and Autosal. He gave credits to my web-site and promised to prepare some photos and other memorabilia from the past. I am looking forward to meeting with him again.